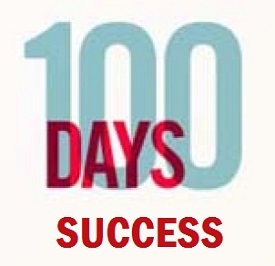 The 100 Day Challenge from MLSP is the best thing I did to create success in my home business. If you are not sure if the 100 Day Biz Builder Challenge is for you, then read my review. I recently completed this challenge in My Lead System Pro and can give you some perspective in this 100 Day Challenge review. If you are home business entrepreneur, looking to develop the skills and habits of top MLM earners, the 100 Day Challenge can help you do that. It will provide you with a roadmap to follow and a support system that is dedicated to your success. 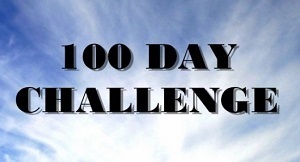 The MLSP 100 Day Challenge was created by Adam Chandler and Justice Eagan. They created this coaching series with one mission in mind. That is to help network marketers like you get in the success mindset, get more leads, get more signups and start making money online – CLICK HERE. What qualifies these guys to coach hundreds of business builders just like you? They were both broke just a couple of years ago, are now six-figure plus earners and have generated over 30,000 leads online. If you need a push out of your comfort zone and to start reaching out to people, the 100 Day Challenge for biz builders is an absolute must! It can definitely change your business for the better. There have been two 100 Day Biz Builder Challenges to date. Network marketers just like you experienced astounding success! Take the challenge, CLICK HERE – don’t miss out, it fills up fast! What is the 100 Day Challenge from My Lead System Pro? Have you ever thought about what is holding you back from success and why you cannot fix it? Or maybe you all the necessary pieces that lead to success are just too overwhelming. The 100 Day Challenge gives you a blueprint that you follow on how to put the pieces together. Everyone has their own reason for taking the 100 Day Challenge. For me, it was about getting in a success mindset and gaining perspective on what it takes to be a leader in our profession. I had several huge breakthroughs during the Biz Builder Challenge. My breakthroughs had to do with my vision which was once not clear and came into focus in a big way. I was inside the fishbowl looking out and now I am outside looking forward. I also learned new online marketing skills that brought new ways to meet people and build relationships. On my own, I wasn’t stepping out of my comfort zone and the 100 Day Challenge helped push me over the hurdles that were previous in the way of me mastering these new skills. In MLSP I hit the rank of L1 and am very close to L2 now. I have hundreds of leads in MLSP. My network marketing business expanded with both customers and new distributors. I previously had never made a single Youtube video and now I have published over 40. I learned how to master the art of relationships on Google Plus to get leads, going from zero Circlers to over 2,500. The support community ALONE was simply amazing. I got to meet others who were facing the same challenges as me and we all helped push each other up that steep hill. I had an awesome accountability partner, made videos with my blogging buddies and built relationships that will last a lifetime. What does it take to get results from the 100 Day Challenge in MLSP? Well, you have to participate! You must commit to the process. My personal growth has increased exponentially because of the 100 Day Challenge and that is exactly what I was missing. 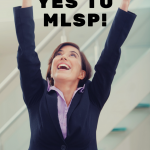 If you are ready to take your home biz to the next level, CLICK HERE and start YOUR MLSP 100 Day Challenge.